Lets Play Who’s That Owner Driver…. 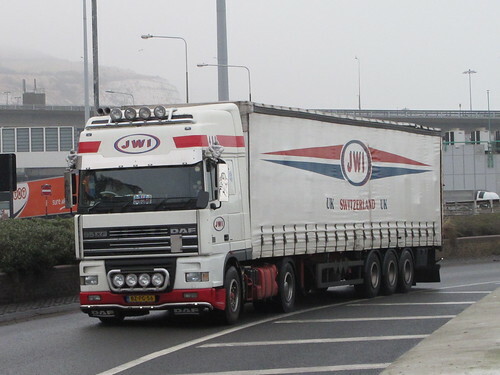 After my recent uneventful trip to Douvres I only saw a few British trucks coming home on a Saturday morning. Two of the trucks were what looked like Owner Driver or small hauliers, most likely O/D’s I think. Both were driving DAF Super Space Cabs of different vintages. Do any of you know who they are? Have you seen them before? Put your answers on a post card or better still leave me a comment or even better than that email ; ben@truckblog.co.uk any help would be much appreciated. I’d like to congratulate both of these dying breed with a truckblog sticker to thank them for keeping the legendary British Owner Drivers reputation alive!! 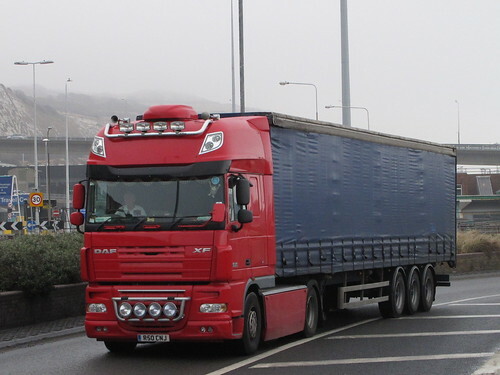 This entry was posted in DAF, International Mega Trucking, Photos by truckbloguk. Bookmark the permalink.